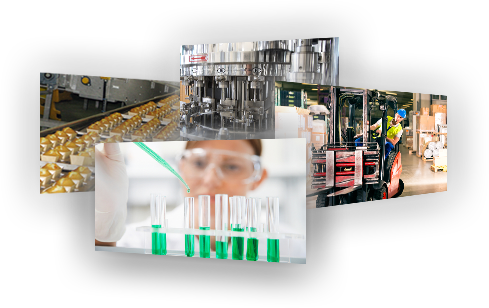 User-friendly web applications for the management of your quality system and ERP. Developed by specialists for companies active in food. 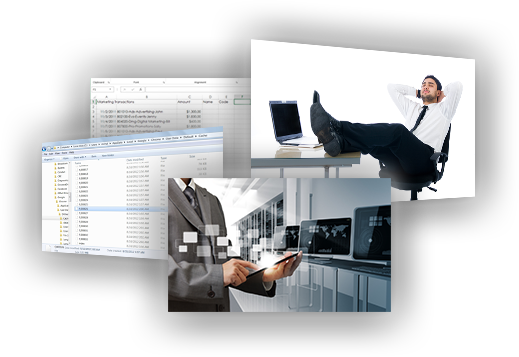 We offer an overall solution by bringing together all quality-related items in one integrated software. Done with self-developed spreadsheets or different software systems that run alongside each other. Suitable for any company that wants the quality policy to be part of the entire organization and not just the quality department. When organizing your stock control and comply with the legal traceability requirements. Each product gets an internal lot number for fast traceability. You can print barcode stickers with the lot number and register all stock movements and corrections. With the QD-Scan application, to be used on mobile Android devices, you organize your stock management efficiently and mobile and you comply with the legal traceability requirements. Ideal for managing stock movements in both kitchens and production environments. Quasydoc is accessible via a simple browser. So, no local installation of software. We take care of the security and system management. One license cost per environment for an infinite number of users, makes the cost predictable in advance. The package is modular, so you take a license according to your needs. Quasydoc is an integrated software that is supported by multiple people and departments within your company. This makes your internal organization less dependent on the individual. Local, self-generated structures, reporting tools, monitoring systems, documents, etc. disappear. Quasydoc allows you to save overall on your personnel costs. Quasydoc is constantly evolving. The software is not only adapted to new regulations and legislations, it also responds to ideas and improvements suggested by customers. Furthermore, no new version of software, new releases, … with all its consequences. Because Quasydoc is developed as a SAAS (Software As A Service), it gives you endless possibilities to link with other softwares. As Add-on on other ERP software, links with accounting software, labeling software, Lims packages, menu planning systems, … the possibilities are infinite. The software is multilingual. Every user can choose between English, French, German and Dutch. The management of sites in different countries and languages is possible. Do you have questions about the possibilities of our software or are you interested in one of our trainings? 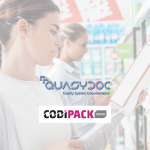 Quasydoc & Codipack join forces! Quasydoc stands for Quality System Documentations. Quasydoc, which originated in the food industry, was founded in 2004 by Johan Vandercappellen in support of his consultancy activities. Today Quasydoc offers a solution for companies that want to optimize their business processes and / or guarantee safety according to the applicable standards, legal obligations and customer requirements. To this end, Quasydoc develops a unique Internet software, according to the SaaS principle, whereby the operational and qualitative activities are integrated into one business information system, resulting in administrative simplification. As a result, the customer is able to manage his internal processes in a paperless manner and in real time. 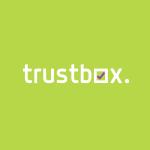 Toon Hutsebaut, with more than 20 years experience in the food industry, has been on board since 2017 to support the further growth and internationalization of Quasydoc. With our team of more than 10 motivated employees, we deploy ourselves every day to fulfill the needs of our customers. And customers, there are more and more, both in Belgium and abroad!